Due to the project being under construction, Solargain was chosen because of its experience with successfully installing systems such as St Bartholomew’s House, which was a multi storey construction site with 27kW installed on the top of an 8 storey apartment complex. Another one of Solargain’s advantages which influenced the decision was the ISO 9001 and AS/ANZ 4801 accreditations, as safety is a key issue which needs to be properly managed on a construction site. Unfortunately, towards the final handover of the building, the construction company went into receivership, something which most suppliers contributing to the late stages of the construction (including ourselves) were affected by. 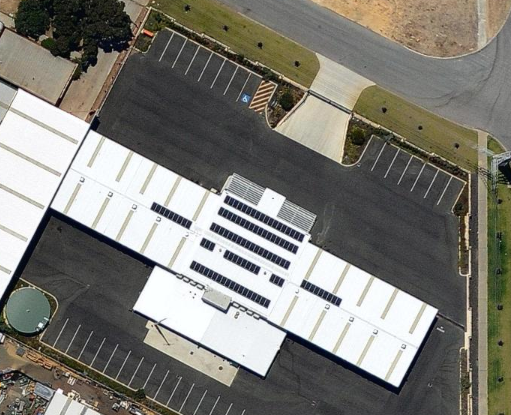 This prompted an email from the Project Facilities Manager of the City of Cockburn enquiring as to whether the “warranties for both workmanship and materials had been unduly affected by Gavin Construction no longer trading” to which Solargain’s response was that regardless of the circumstance, it always stands by customers and will cover the workmanship and product warranties as per the original proposal. Solargain is pleased to say that at the time of writing there had been no circumstance for any warranty or service claim, as the system had been performing as intended, without incident.